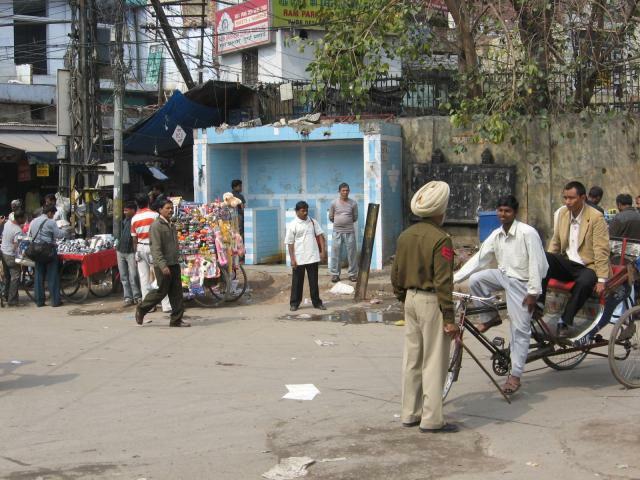 These public fixtures may be found in the Old Delhi neighborhood of New Delhi, India. These pictures were sent in by JP. He writes: "I'm new to Urinal.net and thought I could share with you an experience I lived in my trip to India about 5 years ago. "In India, there is so much people and not all of them have restroom at home. So it's very common to see men taking a leak on the street even though people are walking just by. 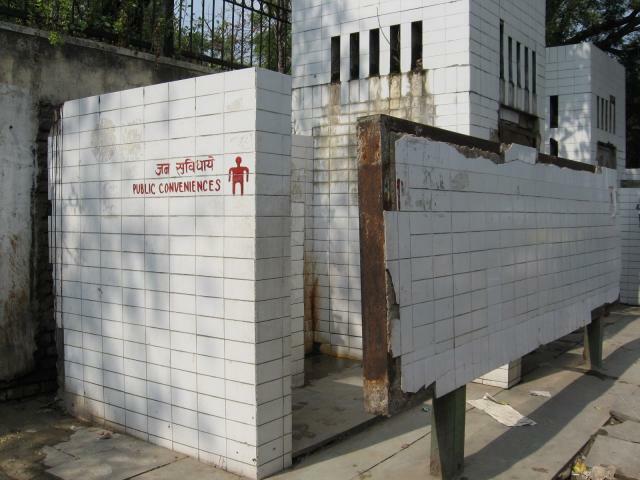 To reduce theses "unwanted behaviors", autorities have installed "public open air" urinals in the street. Theses urinals are funny because men are still, in some ways, urinating in the street but in a more "civilized" way ? "Most of theses street urinals are just a kind of wall with a groove at the floor but without water flush. So they are not clean and the odor is very strong. That's why I only used once this type of urinals during my trip. "I attached some pics of them. Sorry, but the view is not of the close-up type, but I didn't know your site at this time and didn't see the use of taking close-up of urinals... Note : I hope you understood what I wrote as english is not my first language." JP notes that the first photo was taken in the Main Bazar Pahar Ganj area of Old Delhi historic Old Delhi neighborhood and the second photo was snapped in a small street, also in Old Delhi.